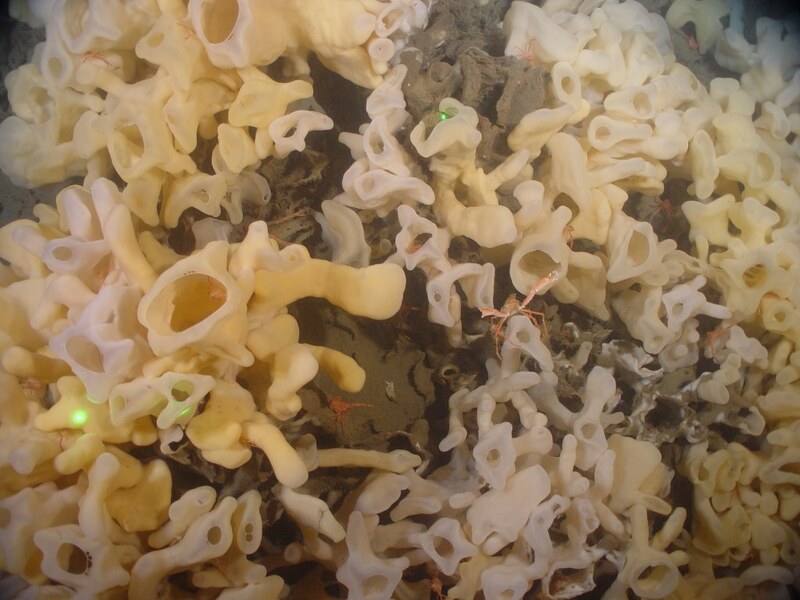 Breaking News: Glass Sponge Reefs protected thanks to fishing closure! 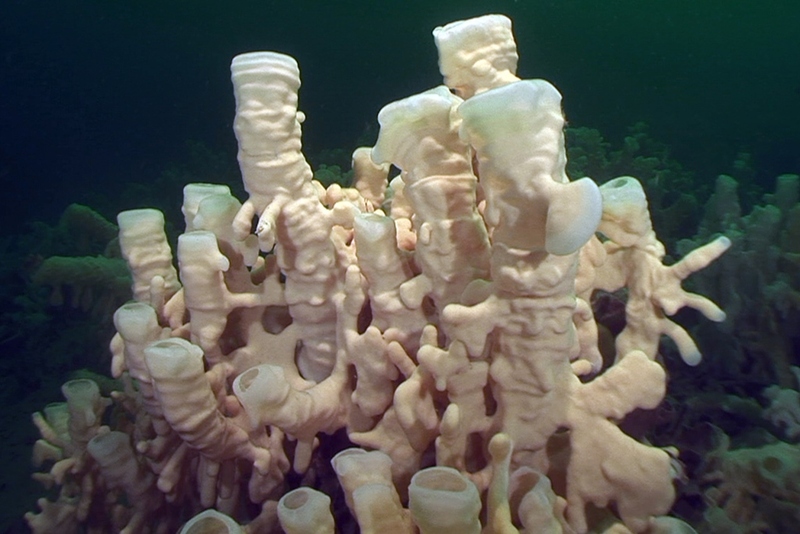 Vancouver BC – 5 June 2015 – Local and national conservation groups are welcoming today’s announcement by the federal government of fishing closures for the Strait of Georgia’s glass sponge reefs – a global treasure found nowhere else in the world. 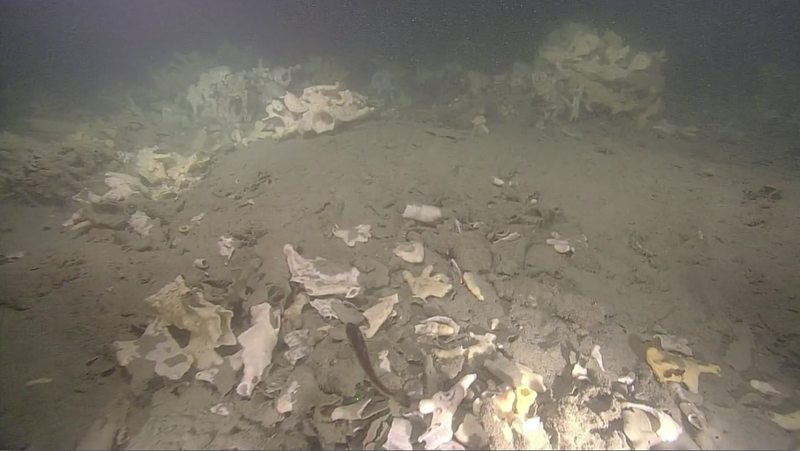 The SCCA has joined in efforts over the past six years with a coalition of conservation groups lead by the Canadian Parks and Wilderness Society to convince Fisheries and Oceans Canada (DFO) to protect these reefs. “They are a global treasure found no-where else in the world. 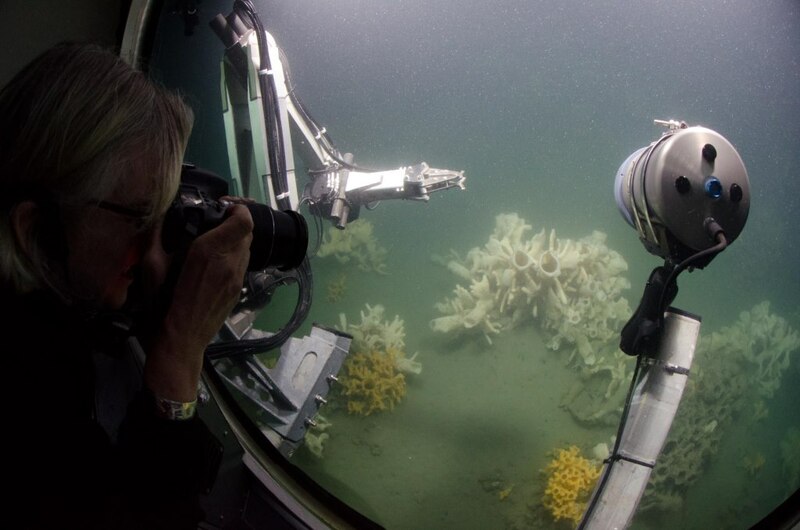 The reefs are thousands of years old and they are incredibly fragile,” said Sabine Jessen, National Oceans Program Director at CPAWS. The fishing closures will prohibit all bottom contact fishing over the reefs themselves and 150 metre wide buffer around them, to ensure that the reefs are not accidentally damaged by fishing gear and to protect them from sedimentation. 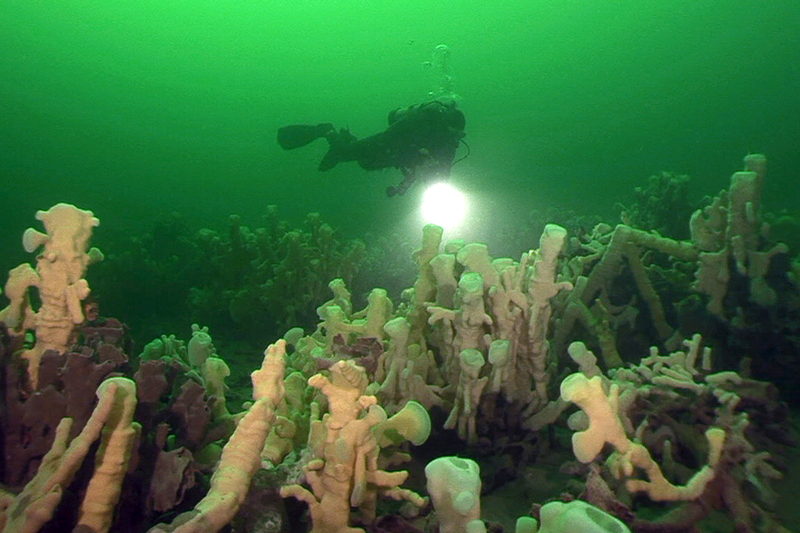 DFO established voluntary closures last year in order to protect the reefs while consultation was underway. 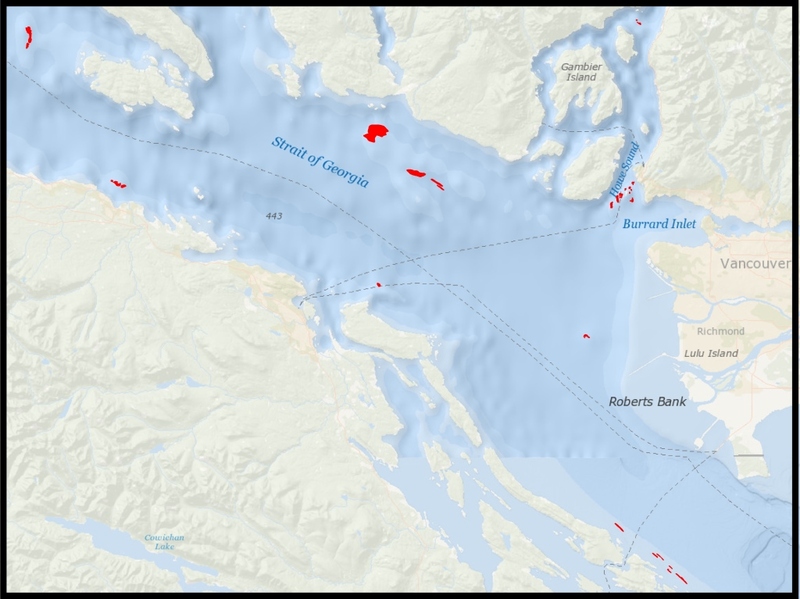 The closures come after months of consultation and discussions among DFO, the conservation groups, the commercial and recreational fishing sectors, and First Nations. The conservation sector was represented by CPAWS, David Suzuki Foundation, Marine Life Sanctuaries Society, Sunshine Coast Conservation Association, and the Vancouver Aquarium. 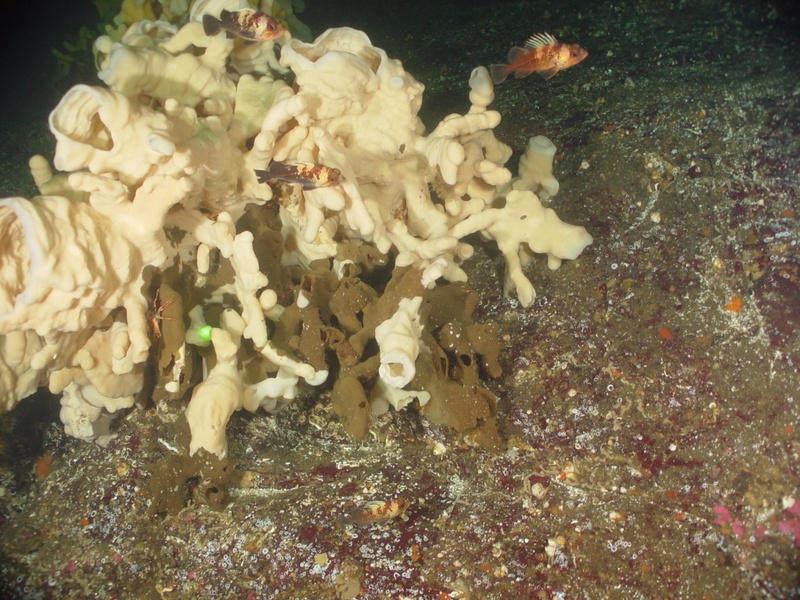 Pictures: Texada glass sponge. GSR: Dr. Sally Leys credit. Trawling damage to reef: Jackson Chu credit. Dr. Sally Leys in CPAWS sub: Bruce Kirkby credit. GSR: Neil McDaniel credit. Diver & Reef: Neil McDaniel credit. The SCCA's Annual General Meeting will be held on Monday, June 22nd from 7-9 pm at the Sunshine Coast Arts Centre in Sechelt. We're excited to announce that our guest speaker will be Ruth Simons, the Executive Director of the Future of Howe Sound Society. Memberships can be renewed at the AGM or you can join or renew online. You must be a paid-up member in order to vote. As per SCCA policy, nominations for the Board of Directors should be forwarded to the chair of our nomination committee. If you are passionate about the environment of the Sunshine Coast and would like to contribute some time and energy, please consider a two-year term as a director. We have monthly board meetings and directors are encouraged to take on a role or an issue. The Sunshine Coast Conservation Association and the Tetrahedron Alliance are concerned that potential alterations to the Chapman Lake water storage system will have serious deleterious impacts on the Tetrahedron Park ecosystem, yet will not solve the Coast's summer water supply problems. We wish to explore with the SCRD directors more effective alternative means of fixing our water supply system rather than installing either floating pumps, siphons, tunnels, dredging or other changes that would have the effect of drawing down Chapman Lake a further 10 feet and threatening the surrounding plant structures. The opportunity for public input on proposed Old Growth Management Areas within five Landscape Units in the Sunshine Coast Forest District is now closed. Thanks to the knowledge and energy of three volunteers, the SCCA was able to make a submission in the hopes of creating better representations of, and protection for, the biodiversity found in our forests. As this review consisted of 600 individual Old Growth polygons spread over 5 landscape units, it was decided to make comments and recommendations on the legal and policy context within which the OGMAs are being proposed and then focus on the Salmon Landscape unit in our examination of specific siting issues. One of the main issues was the number of polygons that were of insufficient dimension to offer the characteristics of an interior forest condition. Click on the link to see the full submission.